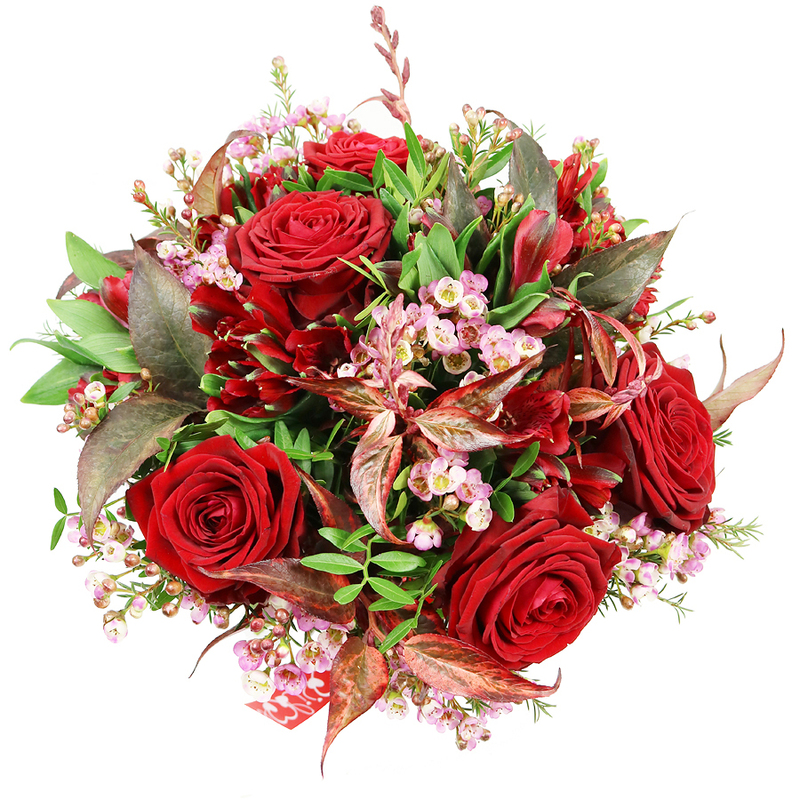 Order lovely arranged bouquet made by talented florists! 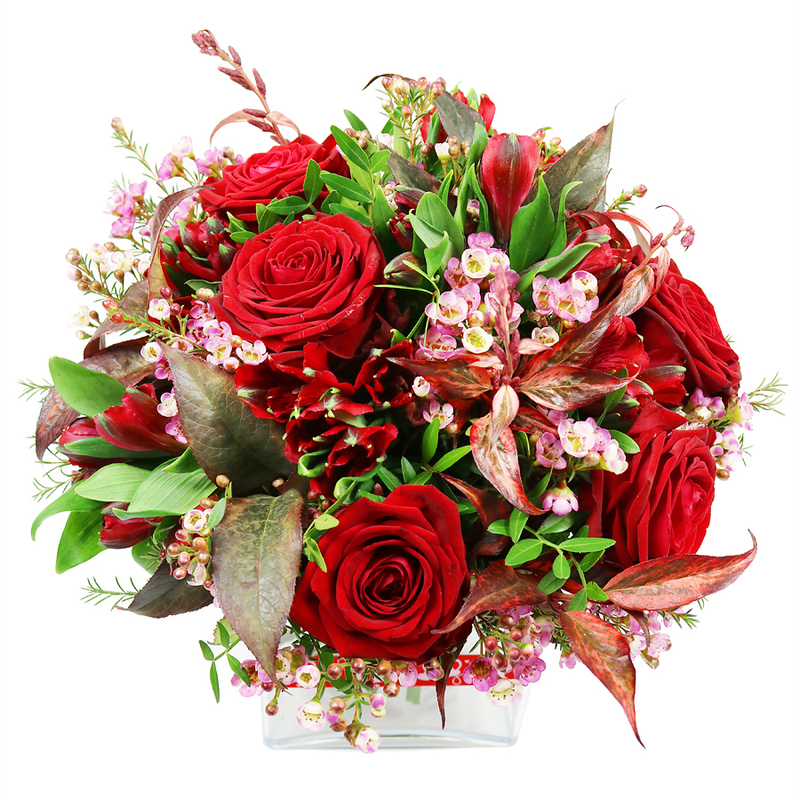 This unique arranged bouquet made up of red roses, red alstroemeria, wax flowers, pistacia and red greenery will charm everyone just from the first sight! Vase included. Please, maintain this store! You are too good to not last indefinitely! I love how dedicated you are with amazing customer service! Great, fast florist service. I ordered an artistically designed, rather lavish arrangement using their same day flower delivery option, and they arrived to by 4pm, that very day. 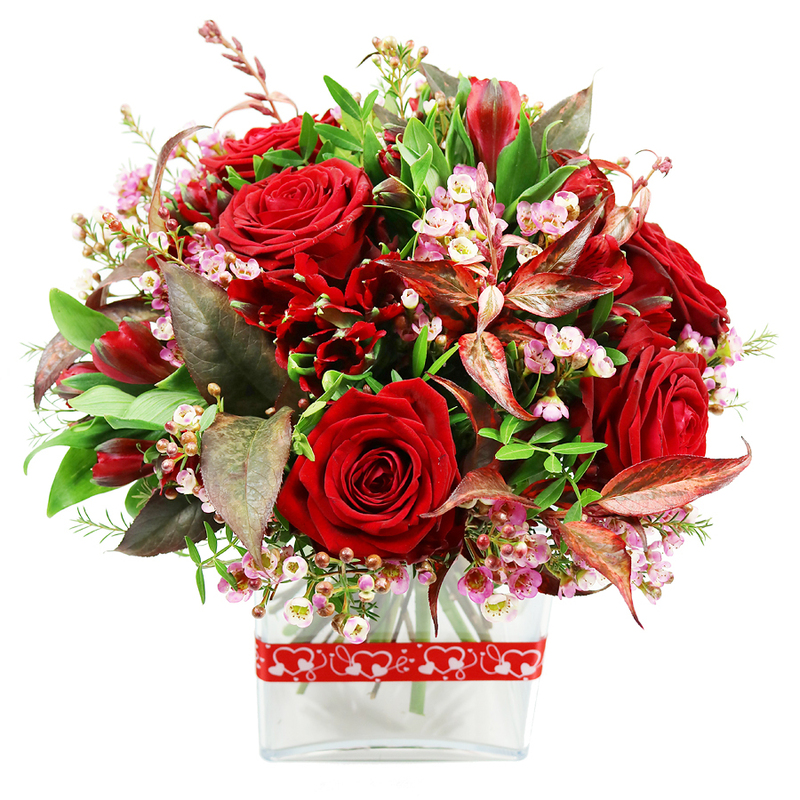 This is a competent florist that offers fast and speedy service. Good selection of cheap flowers, which are suitable for most occasions, so I usually use those when I order. This last delivery was, as expected, a great success! Recipient was thrilled and happy with their simple, sweet birthday flowers, stating they mesmerised her! This is just such an adorable bouquet and you know what I like most about it? The filler flowers, they are just so delicate and precisely placed. This is most certainly a florist I'll use myself in the future! I also found the prices comparable to local florists in London.